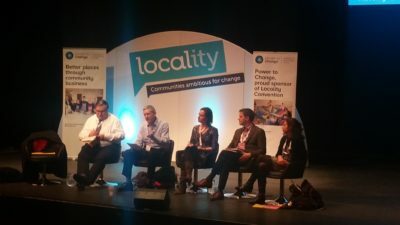 At the Locality conference this week I had a rare treat. I got to listen to a senior civil servant—Stephen Aldridge, Director for Analysis and Data at the Department for Communities and Local Government (DCLG)—share a frank summary of how to present evidence to influence the direction and implementation of public policy. Power to Change had invited Stephen, along with Dr Emma Stone of Joseph Rowntree Foundation, Cathy Irving of the Health Foundation and Dan Corry of New Philanthropy Capital, to share their experience and advice with community groups and community businesses. Stephen addressed two questions in particular: What does a government department expect to see by way of high-quality evidence; and once you have that evidence, how can you best engage with civil servants? So what secrets did Stephen share? So once you’ve got some excellent evidence, how do you use it to make your case for change to civil servants? And lastly, who else should you be talking to?